Krill oil is a superior source of omega-3 fatty acid's compared to other sources, even fish oil, because of its exceptional suitability to the human body. Krill are the tiny red crustaceans living in our icy-cold oceans, which are the main food source for several types of whale. The two other ingredients in krill oil which make it supreme, are phospholipids (marine lecithin) and astaxanthin (antioxidant). An initial glance will not indicate anything special about Antarctic krill (scientific name, Euphausia superba), which is actually one of 85 krill species on the planet. The tiny creatures with big bulging black eyes and a body with pinkish hue, measure between one to five centimeters in length. Only slightly bigger than a paper clip, these creatures feed only on phytoplankton. They then become food for some of the largest creatures in the ocean, including the whale shark, blue whales, seals, squid, fish and penguins. 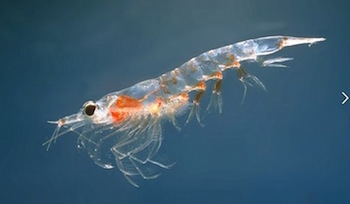 According to estimates, krill make up the largest animal biomass in the world mainly found in the North Pacific (Euphausia pacifica) and Antarctica (Euphausia superba). 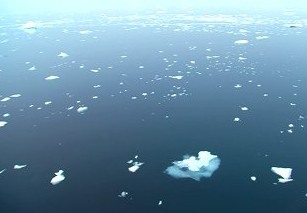 The total weight of krill in the Antarctica alone, is said to exceed more than the total weight of human population. Out of the roughly 500 million tons of these tiny creatures roaming the oceans, 110,000 tons are harvested annually, leaving behind sufficient supplies for replenishing the oceans and food for their predators. Other uses of krill include aquaculture and aquarium feeds. They are also used as bait, and are also consumed by the Japanese people as a delicacy. What's in Krill Oil That Makes it So Good? There are a number of things that make krill oil good for health. Firstly astaxanthin, which is a carotenoid like antioxidant that has more power than the other, more well known carotenoids, beta-carotene, lycopene or lutein. Astaxanthin is natural food coloring, which has many health benefits, it aids in metabolism of essential fatty acids and protects against UV light from the sun. Astaxanthin is responsible for the pinkish-red color of krill (and other crustaceans like crabs, lobsters and salmon). All of these sea creatures get this coloring through the plankton, or micro-algae they consume. 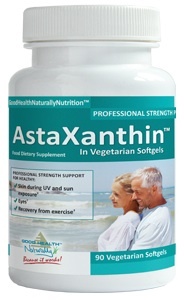 Astaxanthin protects the cellular construction of the body, from free radical radiations, which are the harmful byproducts in the atmosphere around us. Krill oil also contains phospholipids, which is another natural and important fat. They are found in every cell membrane of the human body. Phospholipids line the cells with a double protective coating. Without this protection, cells are exposed to oxidization, infections and microorganisms which cause them to break down and eventually die. The omega-3 fatty acids in krill oil are better for the body, than the omega-3's in fish oil, which exist as free triglycerides. Unlike the oil drawn from fish, krill oil is free from (potential) contaminants like mercury, PCB's, and other toxins, that are very often found in fish. Krill are at the bottom of the oceans food chain, found in the coldest oceans far from the reaches of pollutants. What are Omega-3 Fatty Acids and What Do They Do? Essential fatty acids are fats that are required by the body so it can function normally. They are deemed ‘essential' because the human body is not capable of synthesizing them. They have to be acquired from your diet. There are two main essential fatty acids (EFA's) – omega-3 and omega-6. While there are other fatty acids like omega-7 and omega-9, they are non-essential because the body can synthesize them from sugars and starches. The number following ‘omega' indicates the location of the first double bond when looked at from the final methyl group in the fat molecule. Omega-3's are needed by the body for production and repairing of cell membranes, which allow cells to obtain ideal nutrition, and to remove toxic waste. One of the main jobs of fatty acids is the production of prostaglandins, compounds that standardize functions like blood pressure, clotting, heart rate, fertility, conception and have a part in immune function through regulation of inflammation and promoting the body to fight infection. Essential fatty acids are particularly important for growth in children as they are growing up, especially development of neural and sensory systems. The ideal ratio of omega-6 to omega-3 in the body is from 1:1 to 4:1. Omega-3 fatty acid deficiency can eventually lead to some serious health conditions like cancer, heart disease, diabetes, arthritis, Alzheimer’s, depression, faster aging, obesity, stroke and many others. It's association with numerous positives for the human body has spurred great interest by medical researchers in its use as a supplement. It is currently one of the hottest topics in the supplement world, with TV adverts now boasting its wonderful healing effects. The role of EFA's and their derivatives is now better understood in every area of biomedical science. The behavior of cell membranes and cell signaling in every tissue of the body is very dependent on the fat components in the cells. Just like every member of a family carries out many functions, fatty acids also do many jobs in the complex mechanisms of the human body. Helps muscle building and averting its breakdown. They also allow for a speedier recovery from fatigue and stress placed on them during resistance exercises. They produce hormone-like compounds for regulating inflammatory responses and slow autoimmune damage. Reduce high blood pressure, clot formation inclination, triglycerides, and inflammation. The brain is 60% fat and EFA's are a vital part of that makeup. They are needed in production of neurotransmitter serotonin in addition to averting depression and other diseases associated with the mind. EFA's are responsible for maintaining mood and elevated energy levels in addition to suppressing appetite. This helps to lose weight. Recent studies indicate that they block fat producing genes in the body. Different organs like kidneys, liver, thyroid and adrenal glands need fatty acids to function properly, and are necessary for male and female hormone production. They are needed in cell growth. A fetus needs EFA's from the mother for development (in particular their brain and nervous system). Improperly digested foods engage the immune system and may lead to inflammation of the gut or allergies. Essential fatty acids improve gut integrity. Possess anti-fungal, anti-microbial and anti-yeast properties which offer protection against infections. Help in transporting minerals responsible for maintaining bone and teeth health, thus preventing osteoporosis. They prevent tumor growth and synchronize gene expression. Help skin conditions like acne, eczema and psoriasis (the initial signs of EFA deficiency are brittle nails, dull hair and flaky dry skin). Why Not Just Take Fish Oil Instead, Why is Krill Oil Better? Omega-3 fatty acids from fish oil have higher concentration, than krill oil. However the omega-3's in fish oil are bound to triglycerides, which do not dissolve in water. The omega-3's in krill oil are bound to phospholipids, which enable them to dissolve in water easily. This allows the omega-3's in krill oil to be absorbed more easily, than the omega-3's in fish oil. This translates to smaller doses of omega-3's being more effective than the greater concentration in fish oil. According to one study published in 2011, 3 grams of fish oil raised the levels of omega-3's in the blood by the same amount as only 1.8 grams of krill oil. Another advantage krill oil has over fish oil is the fact that it contains greater concentration of astaxanthin, the antioxidant derived from the algae krill feed on. The same compound is responsible for giving crustaceans their pinkish color. This antioxidant is responsible for lowering bad (LDL) cholesterol and elevating good (HDL) cholesterol in people. Additionally it is responsible for protecting against ultraviolet radiation, which cuts down on skin cancer risks. The antioxidant potency of krill oil has been found to be 48 times stronger than that of fish oil. What Studies Have Been Done on Krill Oil? While the numbers of studies conducted with krill oil are limited, those that were done provide some compelling evidence showing that it is highly beneficial. In one placebo controlled study carried out with 120 people having high cholesterol – they were given either a krill supplement, fish oil or placebo. The three month study showed that krill oil improved the overall cholesterol profile compared to placebo and was more effective than fish oil. Another double-blind study compared fish oil and krill oil in treating premenstrual syndrome symptoms and found that fish oil did not compare, when dealing with the symptoms. Human studies with krill oil's effect on arthritis are also very compelling. The effect on patients with arthritis and chronic inflammation was studied. One group of participants got 300 milligrams of krill supplement a day while the other group got a placebo. After seven, fourteen and thirty days the C-reactive protein (a standard measure of inflammation) and WOMAC arthritis scores were used to note the effects on two groups. It concluded that stiffness, pain and functional abilities improved significantly in the group using krill oil, while the placebo group registered no significant improvements. Studies have also shown that coinciding relief by taking krill oil, can also be found in people suffering from gout, ‘arthritis of the foot'. 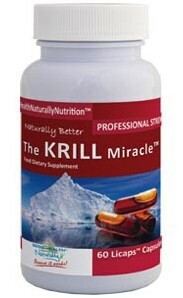 Are There Any Side Effects to Krill Oil? Based on what is known about the components of krill oil, there should be no toxicity and limited side effects. The only issues of concern might be occasional digestive issues or allergic reactions. And this highly potent source of omega-3 fats should be used with caution by people taking prescription, or any other type of blood thinners, as they will probably slow down blood clotting, to a potentially dangerous level. Taking krill oil in addition to anti-coagulants may enhance the chances of bleeding and bruising. Also, taking this type of oil with some weight loss medication that prevents dietary fats from being absorbed in the gut may reduce the absorption of omega-3's also. To prevent this, it is best to take the two at least two hours apart. There are other factors to be mindful of, when taking higher doses of omega-3 fatty acids, which we have covered in great detail in our article titled ‘Dangers and Side Effects of Krill Oil'.